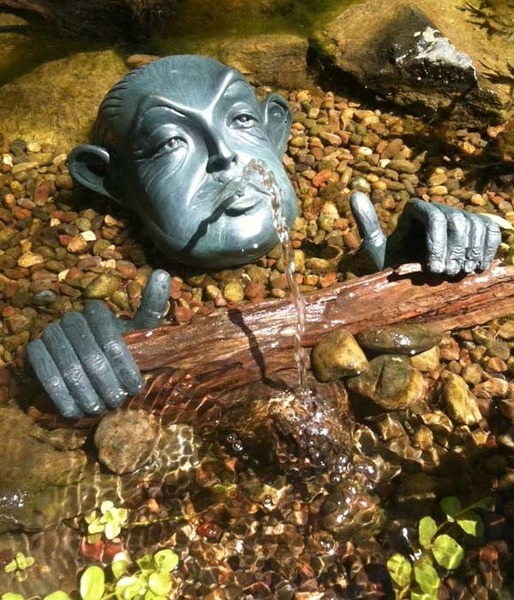 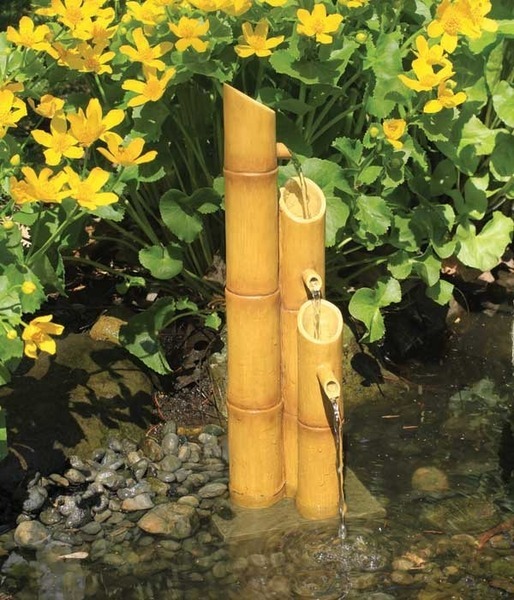 Pond spitters add a decorative touch to a pond or water garden. 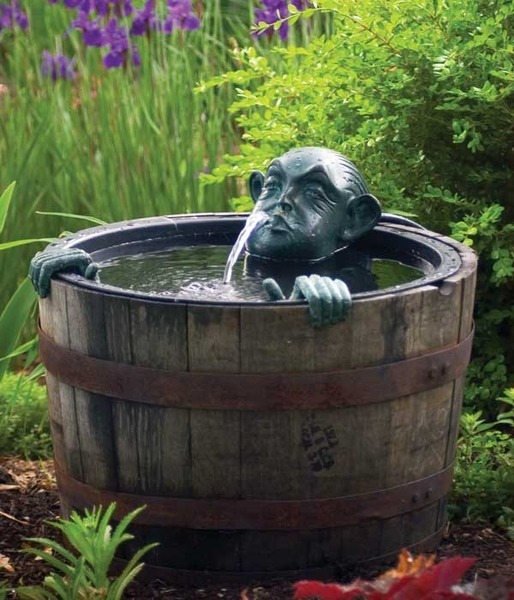 Formal stauesque spitters or more playfull designs are available. 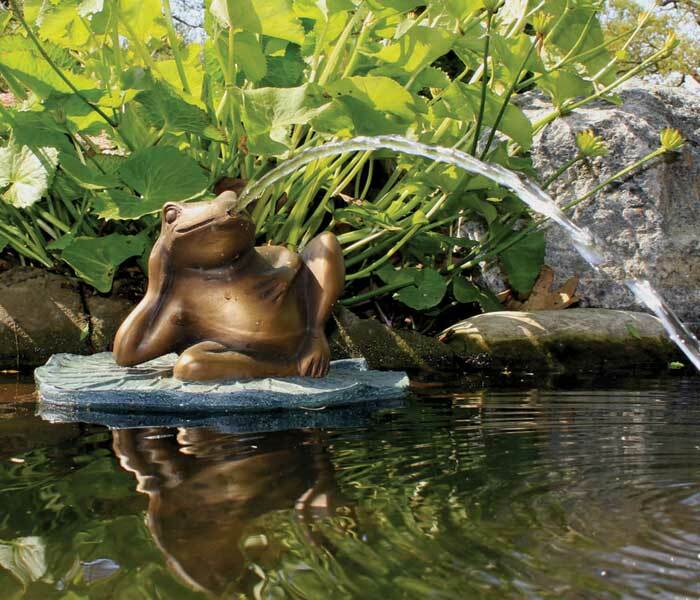 Each spitter comes inclusive with a small pump so they are easy to add to any pond! 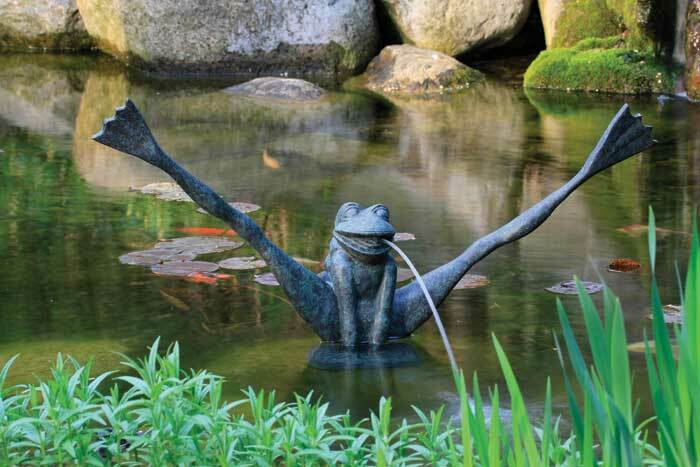 Playfull frogs, naughty dogs, elegant crane spitters as well as bamboo fountains and deer scare spitters. 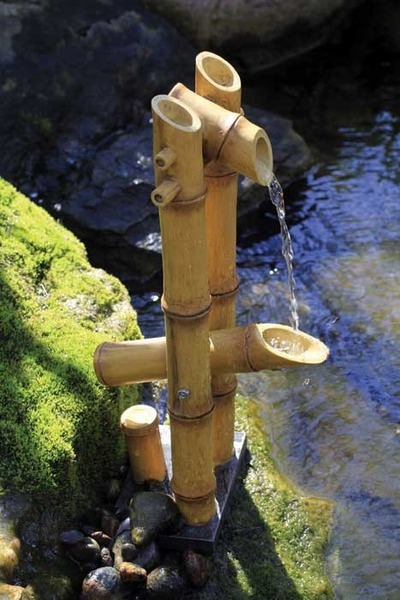 All include the pump and tubing with the spitter. 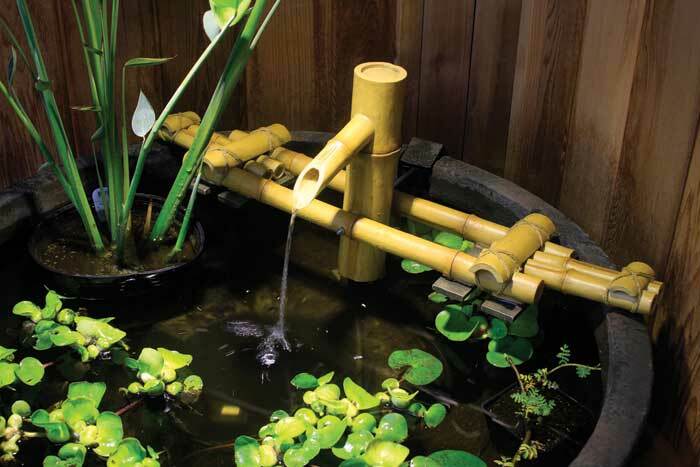 Aquascape's spitters are made of poly resin or bronze resin for durability. 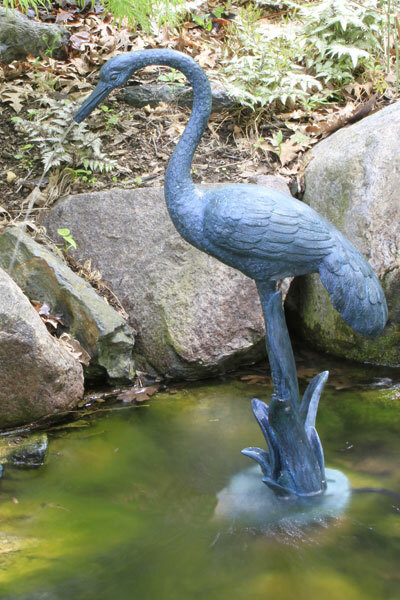 Spitters create the soothing sound of trickling water making it the focal point of any setting. 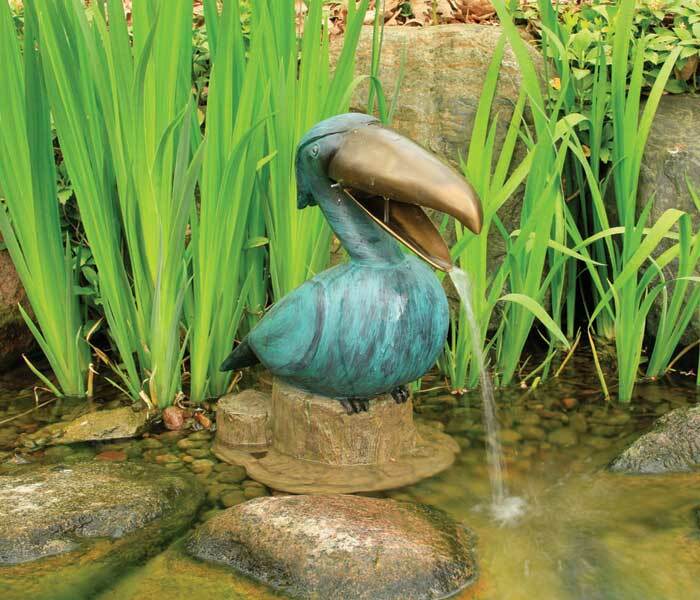 Add a touch of whimsey and elegance to your back yard. 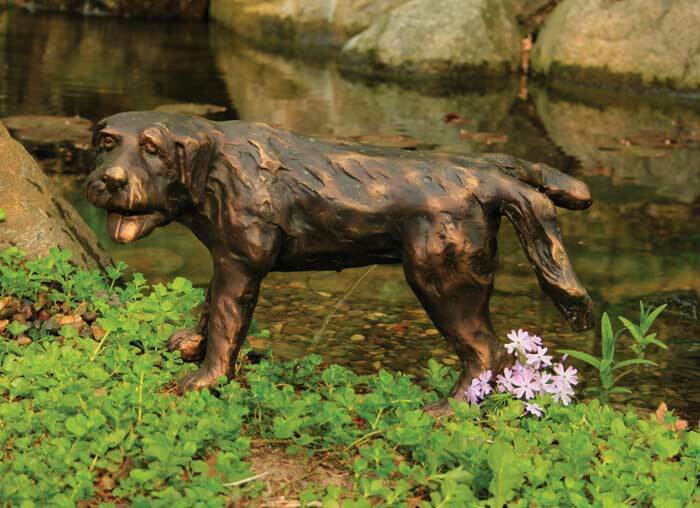 Since each piece is handcrafted and colored by hand, some variations in size, color, weight and texture may occur. 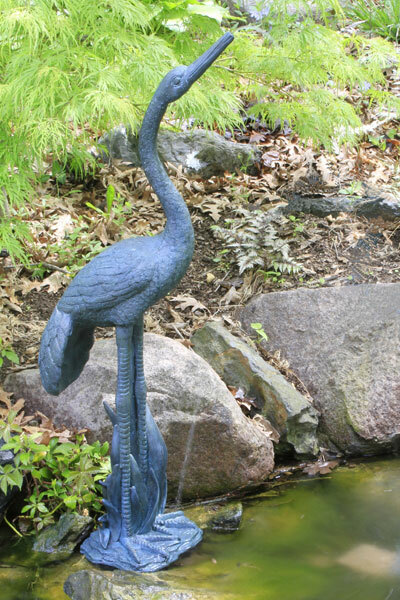 Can be used in pond as spitter or attaches to edge of any rain barrel or patio pond barrel.